Nokia rebranded its web pages, and I must say that it looks refreshing. Nokia’s web pages were always great looking, but the reorganization of the whole company lead to the change of the web pages. Now you get a new menu that starts first with the consumers and then it goes to business, innovation and about us. 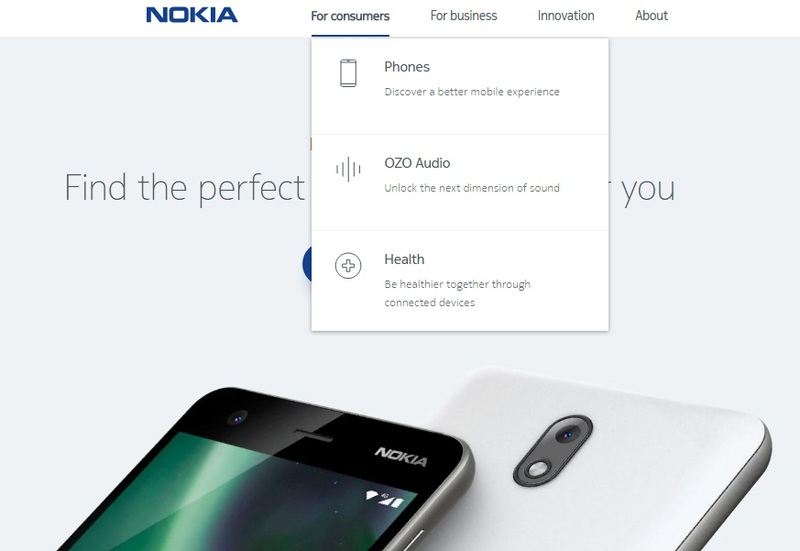 Nokia still cares for consumers or most of their fans, and there you can find the links for mobile phones, OZO Audio Tech and Health. In the business section, you will find the links for networks, health solutions, and media, while under the Innovation you will find the link for Nokia Bell Labs. 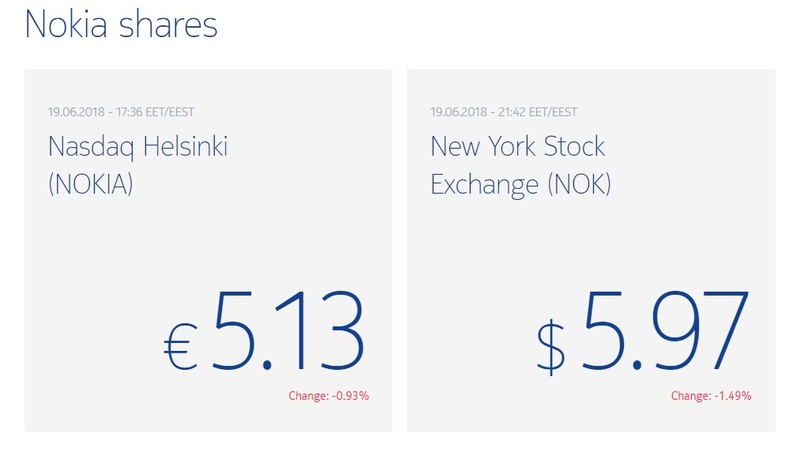 One interesting thing is that if you go to About, and later in Investors section, you’ll find the recent price of Nokia’s stocks at the Helsinki and New York Stock exchange, though that was there before.